By James Lara on Mar 27, 2014 - 21 Comments. 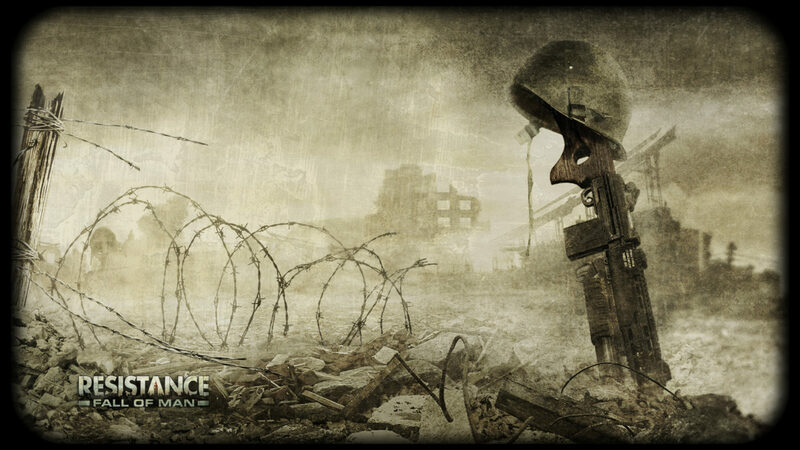 Along with the PlayStation 3 back in 2006 launched a small first-person-shooter called “Resistance: Fall of Man”. 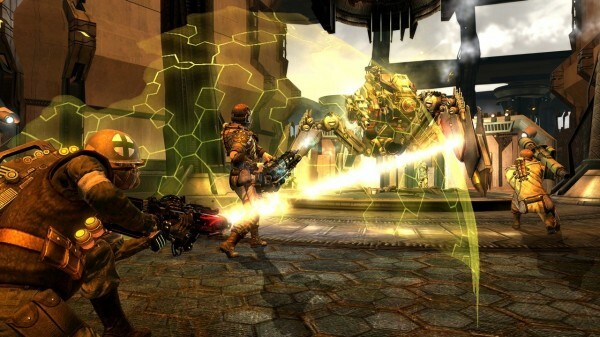 Many years later, developer Insomniac Games would follow up with two sequels. Although the series has since lost its meaning, we take a look back at what made it so good to begin with. March 28 marks the day online support for the trilogy is cut off, so we figured now would be a good time to recall our favorite Resistance memories as servers begin to shut down. The premise of the game’s story was really nothing new. The world is at war with itself as a plague alien virus (Chimera) spreads through most of Europe, infecting and killing millions. Those who survived suffered a fate worse than death, as they were converted into monsters – a part of the Chimera race. All seemed lost, and even though the game ended with the hero doing what he came to accomplish, most, if not all of Europe had been lost by then. The game’s story wasn’t blockbuster material, but it was the dark atmosphere that truly gave Fall of Man a sense of panic and despair. This theme was felt throughout the multiplayer as well. Map design reflected that of a dying world, overrun and terraformed to suit the Chimera’s needs. The multiplayer felt like a natural continuation of the single-player in the sense that very same fight for survival continued. 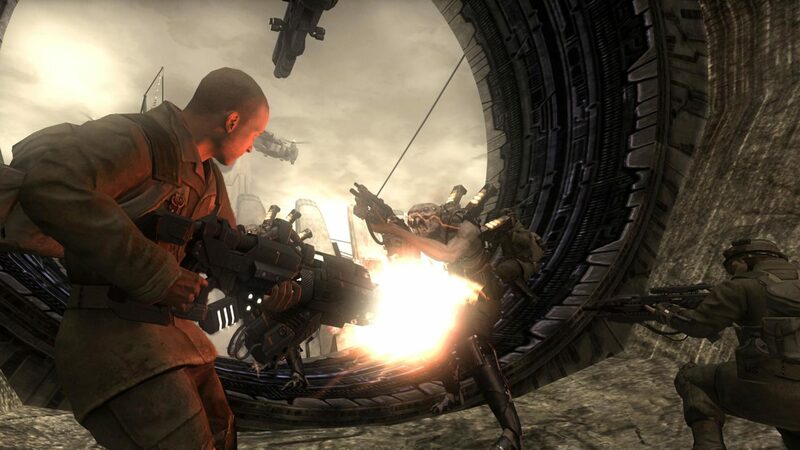 It also helped that the multiplayer itself was packed with content that hasn’t been seen in a multiplayer title before at the time, at least on consoles. Before the PS3 had an in-game XMB, limiting basic functions like checking messages or friends lists, etc., developers had to go out of their way to provide gamers with the essentials. Resistance: Fall of Man was the game that had it all; a lobby system, fully functioning voice and text chat, a clan system that had roles in it. It basically put most games to shame when it came to clan organization. An in-game friends-list also came with in-game messaging, all achieved with dedicated servers that also ran the game. It provided its own ecosystem for gamers and almost everything anyone could ever wish for in terms of player options was most likely there. It was clear that Insomniac Games had something going here. Fall of Man also boasted one of the highest player counts seen in an FPS yet with 40-player online combat, or 20 vs. 20. Though map sizes were quite large, players were still easily found. Though it only featured about twelve weapons, they were some of the most inventive weapons out there. You’d find a mix of older WW2 weapons, such as the Assault Carbine or the Rossmore Shotgun, mixed with weapons like the Bullseye, an Alien weapon that could tag players, or the Dragon, a powerful flamethrower. They all added to a unique experience. The grenade selections were great as well, like my personal favorite: the Air-fuel grenades. These were fun to watch and get kills with or even be killed by. They were quite comparable to Halo’s plasma grenades, only more deadly. Fall of Man’s multiplayer was a complete package with it’s unique game-modes, dedicated servers, player options, ect. The game showcased many promises for future installments. It was a title I definitely feel was worth keeping after all these years, only to throw it back in for one final hoorah. Resistance 2 had high expectations. From the early showings, it seemed clear that the next step was to make the game bigger with even bigger enemies. The bosses in Resistance 2 were huge – made up of multiple human bodies. Though an impressive feat, the story paid a huge price. With the setting now in the United States, the Chimera had started their first invasion on the US soil, and like Americans have always been portrayed, they weren’t going to give up easily. The let down here was that the core ideas of the first game – humans on the brink of death – were basically thrown-out. It made sense that the US had gathered intel on the Chimera, creating super soldiers and futuristic weapons of their own. But it made for an odd choice in art style that lacked the original atmosphere of the original. It vanished not only in the single-player, but in the multiplayer as well. 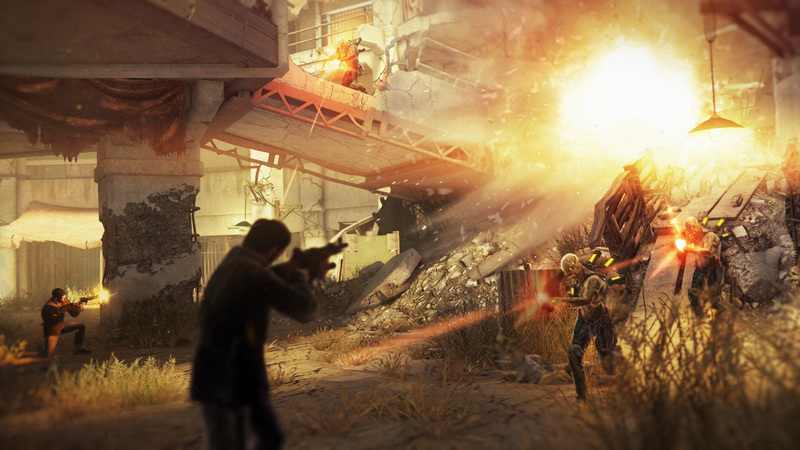 To continue with the idea that bigger is better, Resistance 2 boasted an increased player count – from 40 to 60 players. While it might have sounded like a good idea, map design and balancing ultimately lead to an unbearable experience. With the PS3’s new in-game XMB the need for friends list and a messaging system was no longer there, which was a mistake, in my opinion. The XMB was, and still is, a slow pile of filth when being used in-game. Insomniac Games also made another mistake by removing one of the game’s most stand out features: the Clan system. The surprising move led to a much less enjoyable experience. The game wasn’t “bad”, but it definitely didn’t live up to expectations, which eventually ended up hurting the third installment in sales. The only thing that this game really had going for it was the co-op. It featured eight – and I’ll say it again – EIGHT player online co-op, the first of its kind on consoles. It was fun too – a hoard-ish type of mode, except with objectives, much like Left 4 Dead. It even featured three special classes, each with their own abilities and leveling system. I think many would agree that was the best thing going for Resistance 2. I had my doubts after Resistance 2, but the third installment had the potential to redeem the series, and it did, to a degree. Starting with the story, it goes back to the root idea that the Chimera are the ultimate threat and will most likely win by the time this is all over. It takes place once again in America, only this time, the population has shrunk to almost nothing. There is no hope left as the Chimera have advanced so far, humankind can’t keep up. Resistance 3 returned back to the series’ grittiness that made the original so great to begin with. That them once again transferred over to the multiplayer rather seamlessly. Though instead of going with an even bigger player count, Insomniac decided to shrink it, drastically. The count had shrunk from 60 to just 16 players! Map sizes were also significantly smaller to accommodate the smaller player count. While the multiplayer didn’t scream “come play me! I’m your new addiction,” it was once again a very enjoyable experience. It was clear, however, that the game was heavily influenced by Call of Duty’s fast-paced, closed-quarters formula with killstreak rewards. With that, Resistance 3’s multiplayer had felt like it lost it’s “mojo,” so to speak, and because of that, the multiplayer died out quickly. The question here was, what made the franchise so good? To be blunt, perhaps there wasn’t much of a reason. I’m not even entirely certain it should be considered “good”. I enjoyed the first a whole lot, but was severely disappointed with its sequel. Resistance provided a great story at a time when FPS games lacked in that department, but its multiplayer just felt like it was trying to be something else. I guess there was always a shimmer of hope that the franchise would grow into something better, keeping a hold of its original roots without getting too creative. But, at the end of its journey, Resistance 3 was a game with a mistaken identity. Here’s to hoping that the next iteration will be handled perhaps by an internal team at Sony, seeing that Insomniac probably doesn’t want much to do with the franchise. What are your memories of the Resistance series?